At midday on a Tuesday, Fordham’s Center for Educational Partnerships was quiet. In stark contrast to a passing throng of students outside, the only sounds inside came from two focused women tapping at their keyboards and intermittent half-dialogue in a back office, where Associate Dean for Partnerships Anita Batisti, Ph.D., was on a call. The office’s modest size and relative calm are deceptive, however. The center actually has nearly 80 employees who provide outreach across New York City—and Batisti is at the helm. In addition to serving as associate dean at the Graduate School of Education (GSE), Batisti is the founding director of the center and CEO of the center’s Partnership Support Organization (PSO). The organization is one of only two housed in a New York City university and it provides technical assistance and support to 35 public schools serving more than 19,000 students. 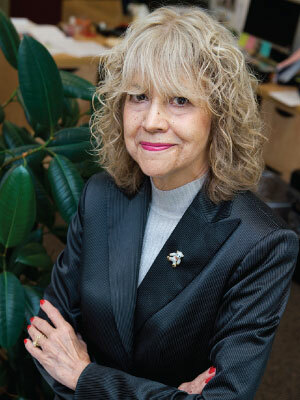 A veteran educator, Batisti is a former administrator in the city’s public school system and has been an adjunct professor at Fordham for 25 years. She recently turned her sights toward early childhood education, a topic that has drawn national attention in the year since President Obama called for high-quality preschool for every child in America. The need for pre-kindergarten education has been proven, Batisti said; satisfying that need in the form of free, full-day, universal pre-K is another challenge entirely. Nevertheless, Batisti is optimistic that universal pre-K can become a reality, beginning here in New York. This year, GSE and the Center for Educational Partnerships are spearheading a research-based pilot program focusing on early childhood literacy—an initiative that can help bolster the city’s vigorous efforts to provide pre-K for every 4-year-old in New York City. Why is pre-K so important for children? AB: In 2000, the U.S. Department of Education convened a National Reading Panel to evaluate the best ways to teach children to read. One of the recommendations was to give young children greater access to school. This gave way to many pre-K classes and all-day kindergartens. As a result, because children were going to school earlier, people felt their reading needs were being addressed. But then the question is: What are kids getting by going to school at younger ages? It’s easy to provide more access, but the panel’s other recommendations, such as strategies for teaching vocabulary and reading comprehension, were harder to implement. I’m happy that Mayor de Blasio and Chancellor Carmen Fariña are focusing on early childhood, especially for students in high-needs situations. Because the problem is that by the time many of these students reach kindergarten, they have an almost 30 million-word gap [compared to their peers]. If this gap isn’t addressed as early as possible, it becomes harder and harder for them to catch up. Coming in to school with a rich vocabulary is very important both for comprehension and for higher-order thinking and questioning. How is GSE responding to this national need? AB: In June, the center received a planning grant from the Brooke Astor Foundation to devise early childhood reading strategies. We’ve selected three high-needs elementary schools that our PSO works with—one each in Brooklyn, Manhattan, and the Bronx—in which we’re going pilot a program designed by GSE faculty members Arlene Moliterno, Lynn Huber, Chun Zhang, and Fran Blumberg. Starting in October, staff developers who are licensed in early childhood literacy will offer 38 days of in-classroom coaching to five teachers at each school. The idea is to provide the teachers with strategies for teaching vocabulary and comprehension, because if the teachers teach better, the students will do better. AB: If this works, we will apply for an implementation grant, which can run for up to three years and allow us to work with many more schools. Right now, we are using this planning grant to fine-tune and pilot the strategies that we’ve developed. If we get this right, I know Fordham will be able to replicate it. The New York City school system is the largest in the nation, with about 1,600 schools and 1.1 million students. So if an initiative like this will work here, it will work anywhere. I think Fordham will be able to come out with a solid model on early childhood vocabulary strategies that any pre-K program will be able to adapt and learn from. What are GSE and the Center for Educational Partnerships doing to support parochial schools? AB: The parochial schools in Brooklyn and Queens have large numbers of English-language learners, including newly arrived immigrant students. We recently received a grant from the diocese for a multiethnic teacher leadership program, which will allow a cohort of parochial school teachers to get a master’s in administration at GSE and special training in multi-ethnic and bilingual education. We are beginning an exciting collaboration between the Diocese of Brooklyn and the GSE’s Center for Catholic School Leadership and Faith-Based Education.